Here are five useful Android apps to help authors and screenwriters get organized and get their creative juices flowing. Writing a script or a story is a complicated process. It can take hours of effort to come up with unique plots and characters. However, thanks to your trusty little Android device, you can find plenty of apps to help you get your creative juices flowing. 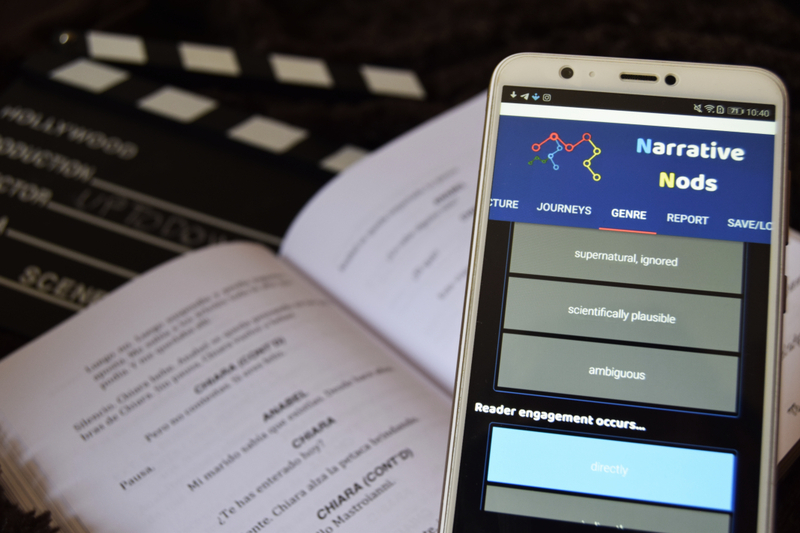 Here, we’ve put together a list of five apps for creating scripts and stories that are both interesting and maintain the story’s cohesiveness. This way, the reader will thoroughly enjoy your storylines and plots. The first step when it comes to writing a script or story is to find a premise and go from there. If you already have it, you just have to get to work and start bringing your story to life. However, you may be experiencing some dreaded writer’s block. 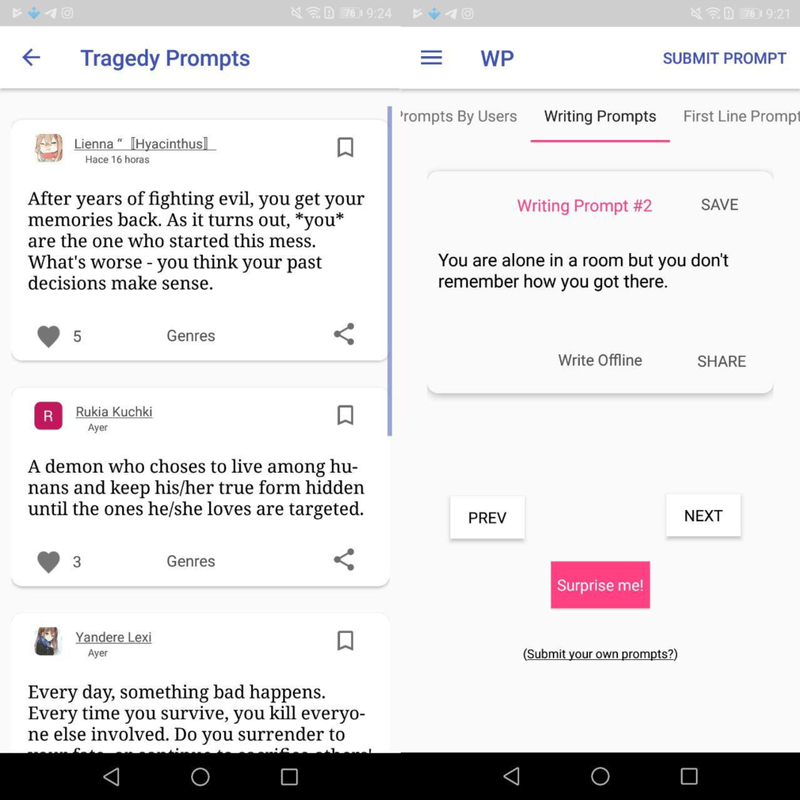 With tools like Writing Prompts, your Android device can become your best friend when looking for inspiration. This app offers you tons of different situations, provided by users from around the world, that will inspire you to create your own stories. One of the great things about Writing Prompts is that it lets you organize each idea by genre. Plus, there’s a section where you’ll find first line prompts to start building your script. Once you have your premise, it’s time to get to work and start creating the cast of characters found throughout your story. But developing backgrounds for your main and secondary characters can turn into an entire odyssey if you do it without any rhyme or reason. Thanks to apps like Character Generator: Develop your story characters, you have excellent tools to help you maintain the cohesiveness of each subject. Character Generator: Develop your story characters lets you create each profile without any sort of difficulty. You can even use the app’s dice feature to generate all the information randomly. The app, in addition to saving all the developed characters, lets you start writing your story with its own text editor. In another one of the tabs, you have numerous interesting guidelines that you can apply to strengthen your literary construction. In line with the app described above, you’ll find Story Planner 2. 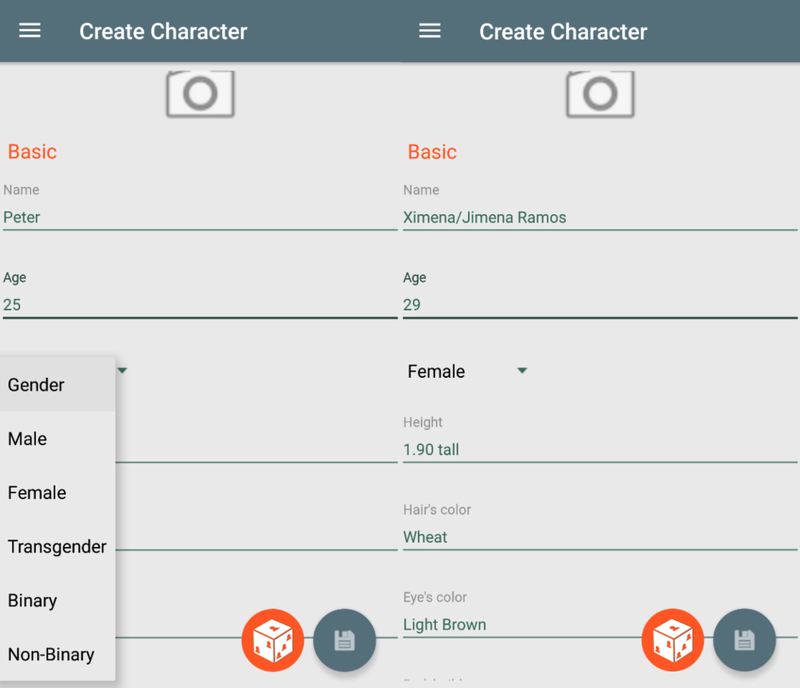 With this app, you can also create organized and practical character files. One of the things that stands out about this app is that you can classify all the subjects or creatures according to their importance in the story and their characteristics. 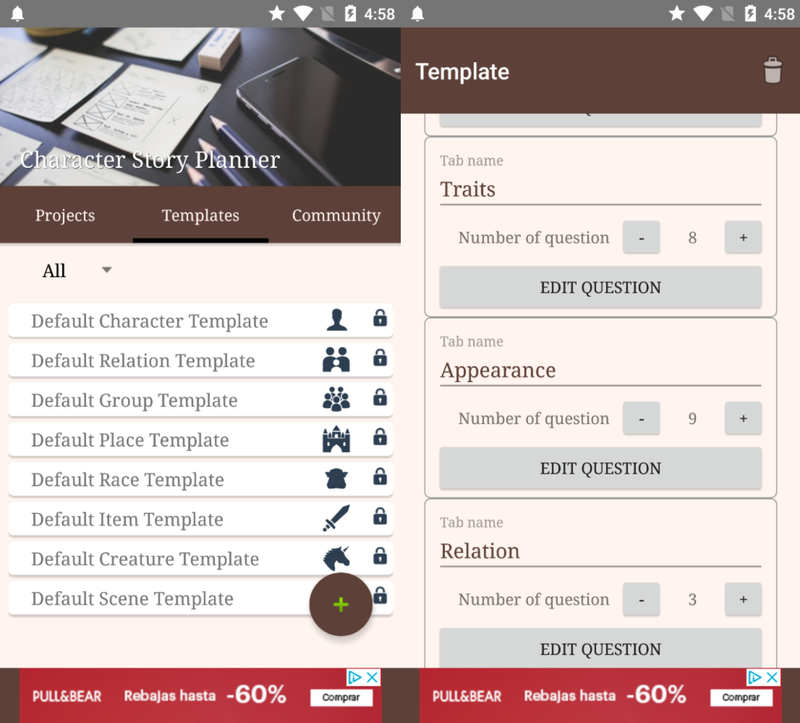 In Character Story Planner 2, you have tons of preset templates to make creating each character fast and efficient. Plus, the app is prepared to work with characters who don’t necessarily have to be people. This is useful if you’re writing a science fiction or fantasy story. Once you’ve gotten this far, there are more and more elements that make up your story. That’s why it’s crucial to make sure everything is nice and organized with a solid structure. One of the main mistakes writers make is not laying a good foundation for the story. If this happens, you story may have holes in the development and conclusion. 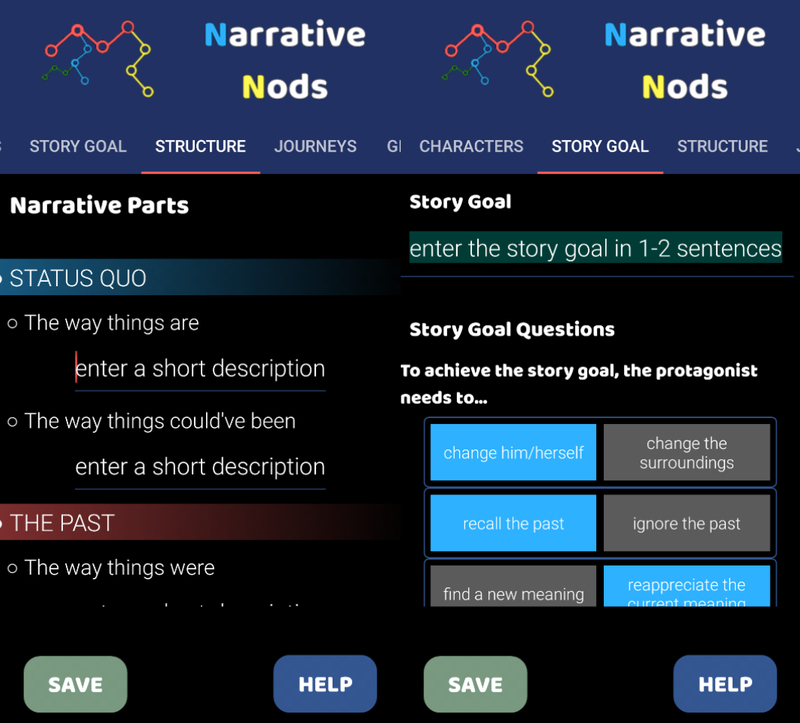 Narrative Nods is a useful app that lets you transform all your narrative ideas into strong story points. With an outstanding interface, Narrative Nods offers the must-have tools needed to create ties between characters and the storyline. Basically, you have to fill in all the information and the app will establish connections between the different elements. It’s a huge help when it comes to creating a powerful and well-structured script. Now that all the characters and other elements in your story are nicely connected, it’s time to start writing your story. You can make use of interesting tools for PC like Celtx, but there are also processors for smartphones that are also really productive. One of them is JotterPad, and through its simple interface, it lets you write without distractions. Thanks to JotterPad, you have an editor that’s adapted to your needs as a writer. It gives you the possibility to create a custom writing style with indentations, fonts, paragraph styles, and completely individualized dialogues. This is the only way you’ll manage to give shape to your story with your own unmistakable style. Once you finish your creation, the app has various exportation possibilities. 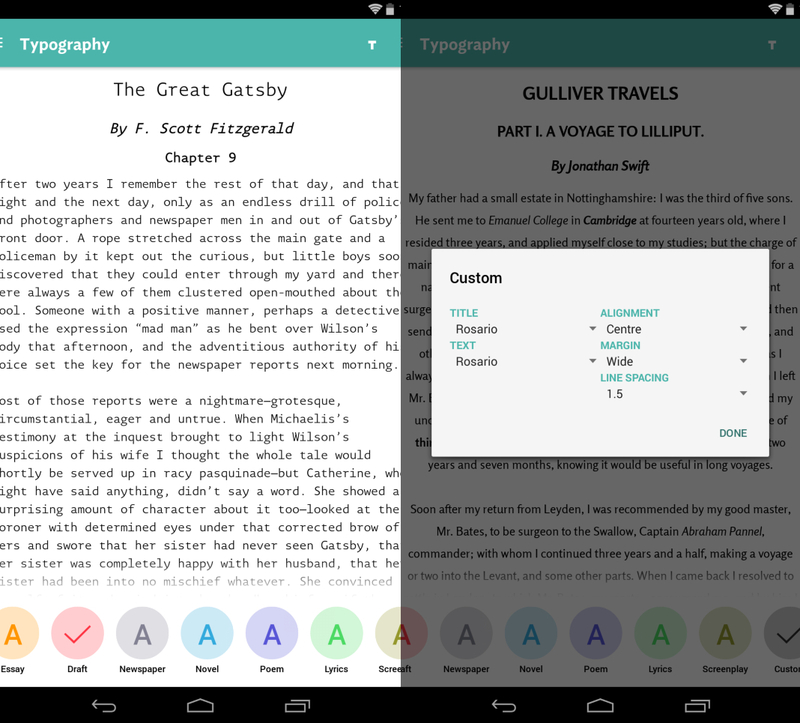 With all these Android apps, you’ll have no excuse not to starting to write a book or script. Sometimes technology can come in handy when you’re trying to figure out where your imagination can take you.